Wanted in Malta. | Do. Be. Interesting. Home Adventure Wanted in Malta. I’m officially an illegal worker in Malta. 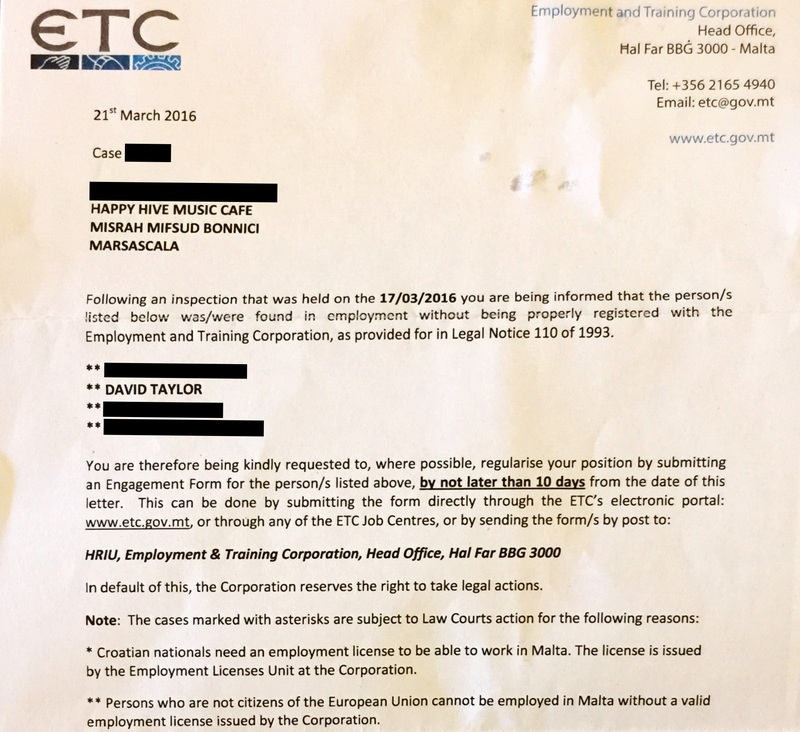 If I don’t get legal employment status in 10 days, the ETC (the labor department of Malta) reserves the right to take legal action against me. And since I’m not great about checking the mail in a timely fashion, the 10 days are pretty much up already. I have to say that if what I’m doing constitutes employment in Malta, this is the worst job I’ve ever had. I bought my own ticket to fly here, I’m living on my own dime, put my own money into the business to get it going, and receive no pay. The only thing I get in return is to eat off the menu the 3 nights per week we’re open, and sometimes we have leftovers on Monday’s. I do work that I believe in, for free. In any case, we shut down the place the same day we found out that the ETC objected, so hopefully that will appease them and I won’t end up getting intimately acquainted with the Maltese prison system. Previous articleCelebration of the Macabre. Next articleThe Grassy Hopper of Valletta. It is an experience. Now again, why are you doing this? Now that one requires a whole separate post to answer. ?